Next week, starting the 22nd May 2017, Waimakariri Year 6's are participating in the CCC Cycle Safety programme. Information was sent home in Week 1 and there are still a few permission forms outstanding. These need to be returned asap. 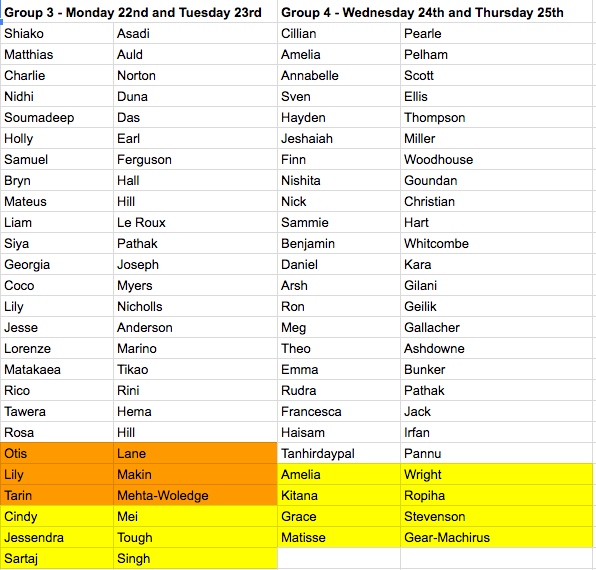 Here are the two group lists, please ensure that your child brings their bike and helmet on the required days (unless they are borrowing from the CCC instructors). Thank you for your support and we look forward to our tamariki achieving success and passing their road tests. Also, encourage your child in the many leadership opportunities available for Year 5 and 6's.